Los Angeles-based DJ and Producer Party Favor throws it back to arguably one of the best years in dance music with his new single 2012, out now via Diplo's Mad Decent. 2012 is a quintessential hard-hitting "twerk music" tune that will get you dancing in no time. 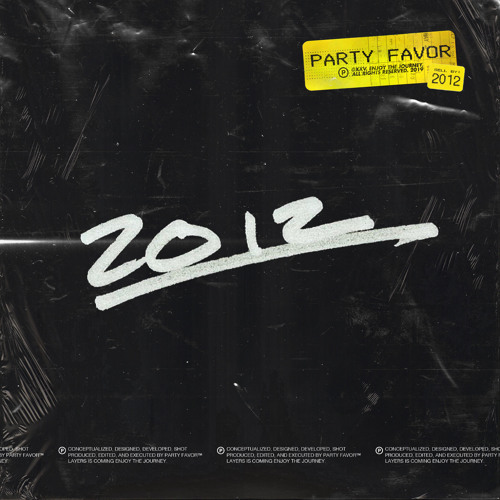 Party Favor pays homage to his musical roots with a mid-tempo, bouncy track that is infused with heavy, hip-hop-influenced bass. Its amazing drop is guaranteed to send any seasoned dance enthusiast back to the trap stage when the genre was still in its infancy. Stream it below! 2012 holds personal meaning for Party Favor, whose career really took off in 2012, officially making him an international, touring artist.